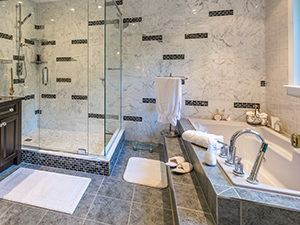 Natural stone and tile and grout restoration can bring back the elegance and beauty of your surfaces. Cleaning and sealing of porous stone types and grout lines helps prevent stains and sanitize your your grout. Our grout sealing process can also restore the color of your grout, giving your surfaces that fresh, like-new look. 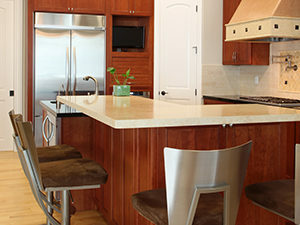 Clean Sweep technicians have expertise in all these processes and more. Marble, polished or not, can become dull, scratched, etched, chipped, cracked or otherwise damaged... and it doesn't take hundreds of years to happen. 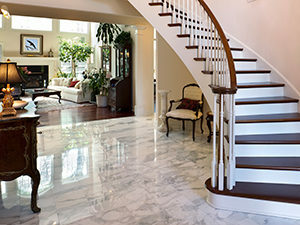 At Clean Sweep we know what it takes to make your marble surfaces look sensational again. In fact, it's our area of expertise. Limestone is a calcium-based stone and can become damaged (etched) by acidic substances. It is susceptible to scratching from tracked-in grit, and dulling from grime and wear. Fortunately, we are experts at dealing with these sensitive types of stone. 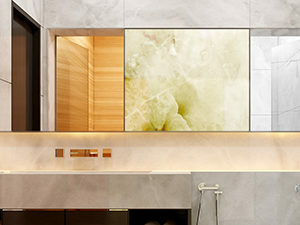 Travertine is unique and versatile, suitable to a wide range of decorative styles. It can also become dirty or dull-looking, scratched, etched, cracked, chipped, or otherwise damaged with time and use. We can not only restore your travertine, we can make it look brand new again. 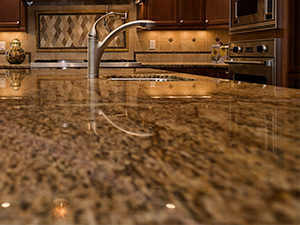 Granite, one of the world’s hardest materials, is a rugged and resilient stone that requires specialized knowledge and equipment to restore. Many restoration professionals won't even touch it. But we have the right tools and techniques to get it looking its absolute best once more. Onyx is a luminous and stunning stone with rich colors, but etching, wear patterns, scratches, dullness and other problems can really take a toll on its appearance. We can restore the head-turning beauty of your onyx so it looks just as good or better than when it was installed. If your slate needs professional attention, don't trust it to just anyone. 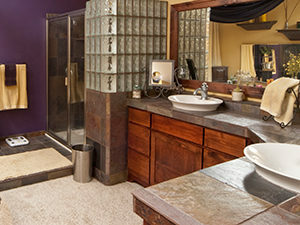 Slate is a unique stone and its restoration methods are very different than those of marble or granite. The cleft finish must be handled with care. We have the expertise and know how to achieve beautiful results. Tile cleaning is tough work. Grout cleaning is even harder. And there comes a point when all the mopping in the world doesn't seem to help. Stop scrubbing that dirty, disgusting grout with your toothbrush and let Clean Sweep do the dirty work for you. 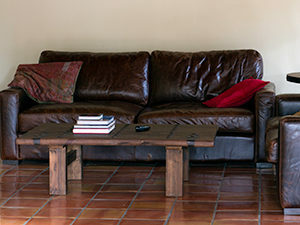 If your beautiful Saltillo tile is looking grimy and scratched, if its appearance is yellowing due to a buildup of coatings, a good cleaning is definitely in order, but Saltillo is delicate and can be difficult to clean. Let our experienced professionals take care of it for you.